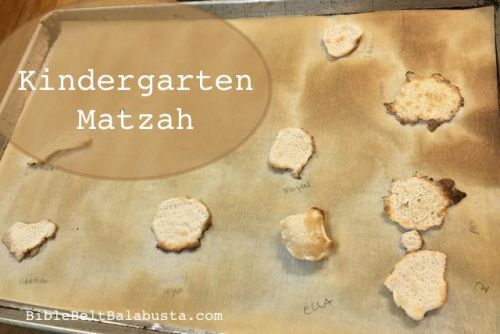 Bible Belt Balabusta offers a delightful and creative way to learn about Matzah. "And so much more meaningful than making yet another tchotchke out of paper. Please allow your students to GET REAL. Let kids experience real things before you ask them to re-create real things out of paper and felt and whatnot. Ideally, we’d have made matzah soon after making challah, because then we’d have a recent basis of comparison. S-l-o-w, p-u-f-f-y bread vs. rushed, flat bread. They can’t know matzah unless they know bread." 65: What do You See on Pesach?